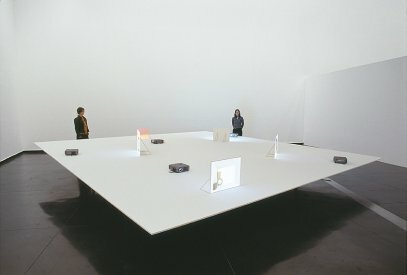 Of the countless artists using video as a part of their sculptural practice few have investigated its possibilities as extensively as Daniel von Sturmer. From his early works using video to document obscure material processes - plastic bags unfurling, blobs of Blu Tak apparently defying gravity or balloons inflating with water - to his elegant use of video projectors and flat screen TVs in gallery and architectural spaces - von Sturmer’s work has explored the strange equivalences between objects using a deft simplicity and a sly humour. His work plays with audience expectations, discovering transformations and processes in a decidedly lo-fi yet captivatingly beautiful way. His The Truth Effect , for example, the artist used the simplest of set ups – a wooden box with a Styrofoam cup, a roll of tape and wooden blocks inside. The objects appear to move around magically within the box, yet this movement is achieved by simply rotating the box while keeping the camera in a fixed position relative to the edges of the box. The humour and irony of the process is that the audience is completely aware of how the effect is created. 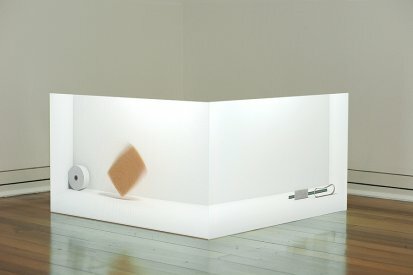 In another sequence, a roll of masking tape rolls into shot, then another smaller roll and so on until the circular shape of the tapes creates an elegant, minimal arrangement. From these very simple base materials, von Sturmer achieves remarkable aesthetic results. Von Sturmer’s The Field Equation  was emblematic of how this approach could take on decidedly maximal qualities. The piece, a large installation created for the Australian Centre for Contemporary Art, consisted of eight screens arranged atop plinths accompanied by small sculptures featured in the video sequences; a green cutting surface for cut and paste paper work was transformed into a faux “virtual” surface, alluding to computer imaging, while, on another plinth, a small wooden cube was held at an angle with a tooth pick. 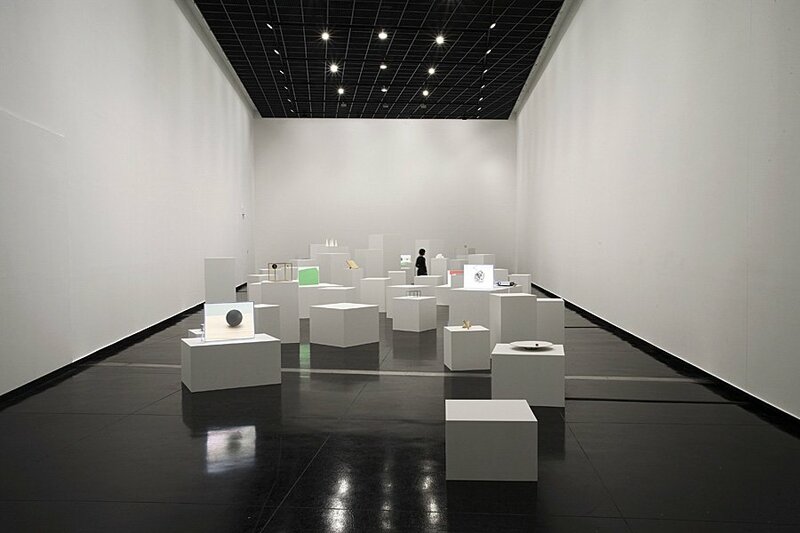 The artist has extensively explored this meeting of real and projected materials extensively in other installations including Screen Test , Into A Vacuum of Future Events  and The Object of Things , exhibited at the Venice Biennale. 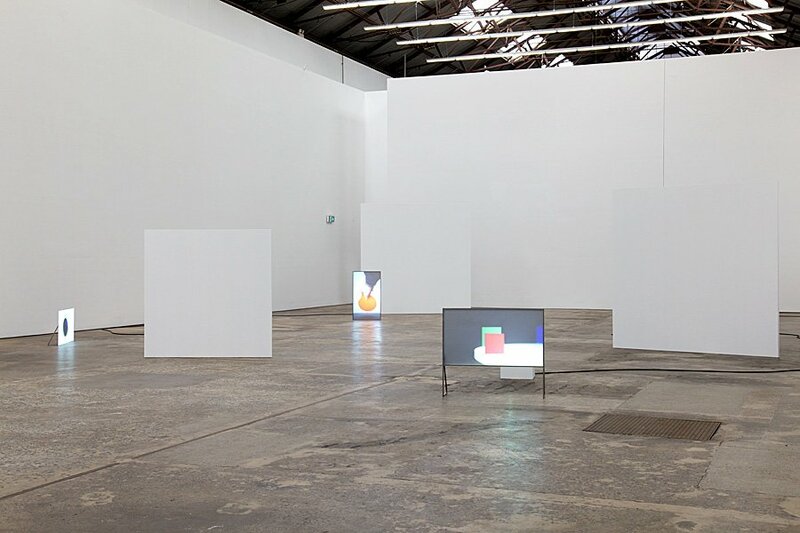 Von Sturmer’s investigations into the sculptural possibilities of screens and projections have created some remarkable results. Horizontal Hold  was a 2 screen installation projected into the upper windows of the Museum of Sydney during the 2004 Biennale of Sydney. Von Sturmer had recorded the output of a paper shredder and projected the results on to the buildings glass windows, the effect a mesmerizing play on the physical and projected spaces. Limits of the Model  and Tableaux Plastique  used flat screen TVs as objects that seemed to interact with their physical location. In Limits... for example, a screen lent against a wall played a loop of video that showed paint slowly dripping down, slowly transforming the screen from black to grey, blue and orange. On another screen, a ball of string slowly unfurls to the “bottom of screen”. 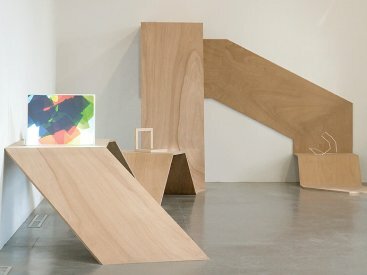 Daniel von Sturmer is represented by Anna Schwartz Gallery. 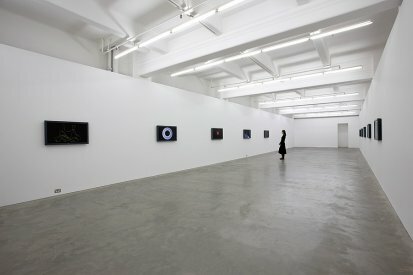 Selected solo exhibitions: Venice Biennale, Venice, Italy, 2007. 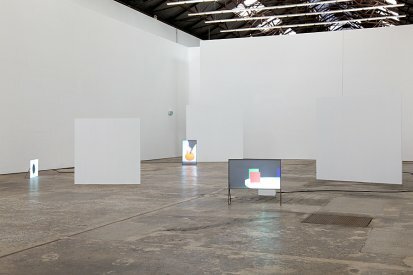 The Field Equation, Australian Centre for Contemporary Art, Melbourne, Limits of the Model, Anna Schwartz Gallery at the Depot Gallery, Sydney, 2006. Into A Vacuum of Future Events, Anna Schwartz Gallery, Melbourne, Screen Test, Experimenta Vanishing Point, Gertrude Contemporary Art Spaces, Melbourne. Selected group exhibitions: Le photographie et l’imaginaire sculptural, Dazibao, Montreal, Callum Morton, Daniel Von Sturmer and Stieg Persson, Anna Schwartz Gallery, Perth, 2007. Anne Landa Award, Art Gallery of NSW, Sydney, Painted Objects, Centre for Non Objective Art, Brussels, Belgium, 2006. Digital Discourse, St. James Centre for Creativity, Valetta, Malta, 2005.
www.danielvonsturmer.com Selected publications: Daniel Von Sturmer: The Smallest Thing and Everything, Anne Landa Award catalogue, Art Gallery of NSW, 2007. Photosculpture, Ici, January 25, 2007. Kein Amerikaner in Paris, aber ein Rheinlander in Melbourne – Fotoszene Australien, Eikon 53, Video Defines the studio star, The Age, August 15, 2006. Video Expanded Field, Art & Australia, Winter, 2005. Daniel von Sturmer, The Cinema Complex, 2011. Courtesy the artist and Anna Schwartz Gallery. Daniel von Sturmer, The Field Equation, 2003. Photograph: Andrew Curtis. Courtesy the artist and Anna Schwartz Gallery.